If you’re looking to make a motion from the floor, please see this page. Motions from the Platform Committee and Rules Committee to Amend the LPF Platform, Constitution, and Bylaws. Note: To see the motions in the original formatting, please see the platform packet and rules packet. The Libertarian Party of Florida does not believe in or advocate the initiation of force to achieve social or political goals. We, the Libertarian Party of Florida, oppose the initiation of force to achieve political or social goals. The Libertarian Party of Florida ratifies and hereby includes in this document the platform of the national Libertarian Party, the “LP Platform” published at https://www.lp.org/platform. Individuals have the right to defend themselves and others. We oppose any law that dilutes the right of any citizen to own a firearm or other means of self defense. We In addition to the self-defense clause in the national Platform at Paragraph 1.9, we support any laws that further the rights of both concealed weapon permit holders and all Citizens of Florida persons to openly carry arms. We endorse the Tenth Amendment to the U.S. Constitution, which reserves to our state and its people all powers not expressly delegated to the federal government by the U.S. Constitution, or prohibited from the states or the people by the U.S. Constitution. We support Equality under the Law, and condemn any law that either rewards or punishes any individual based on race, ethnicity, religion, gender, gender identity, sexual orientation, or any other group identification. Each person has the same inalienable rights. It is the State’s duty to protect those rights for each individual equally. State government should be removed entirely from the licensing process, including occupational licensing. It has produced no better results than private licensing and amounts to another tax. For example, marriage licenses are contracts between individuals and should be left to the individuals, their attorneys and religious officials, without the need to pay the state for a stamp of approval. We advocate a sunset law requiring an automatic end to most government offices, agencies, departments, laws, regulations, taxes, and expenditures within ten years if not reauthorized. We oppose immunities for any public officials or employees for illegal acts or omissions. Like any citizen, they should be subject to criminal prosecution and held liable for any injuries caused by their actions. Sunshine laws should apply to all public employees working in any public place. With modern technology virtually every person has the ability to record and report on the actions of our public officials and workers. There should be no laws prohibiting or limiting the electronic recording and reporting using any means of any public official, including law enforcement officers, while performing their duties. The Libertarian Party of Florida opposes We oppose the participation by the state of Florida in the Real ID Act or similar federal identification database mandates. Privacy – Just as it is true that the only economic situation consistent with individual rights is the free market, so is it also true that life, liberty and happiness cannot prosper under continuous state surveillance. The LPF opposes the use by the state of people or technology to monitor, account for, and keep Floridians under surveillance, especially where there is no evidence of criminal behavior, and thereby restrict the normal interaction of peoples. The LPF opposes passive, yet compulsory, surveillance legislation, such as laws that require individuals and businesses to report legal activities without evidence of criminal acts. The first, second, fourth, fifth and fourteenth amendments to the Constitution are all threatened by unfettered state surveillance. The LPF supports an amendment to the Constitution of the United States to protect the right of privacy of all citizens, a right that is implied throughout that document, so as to2 defend individuals from state intrusion, to limit state intervention in private lives, and allow the free exercise of liberty away from the overbearing power of government. [see LP Platform Paragraph 1.3 Privacy] We oppose compulsory surveillance without evidence of criminal acts. We support an Amendment to the Constitution of the United States to protect the rights of privacy of all people. We oppose using state and local resources to enforce federal immigration laws against foreign nationals who do not pose a credible threat to security, health or property. We support the addition of the alternative option “None of the above is acceptable” to all ballots. We further propose that in the event that “None of the above is acceptable” receives a plurality of votes in any election, a new election shall be held for in which none of the losing candidates shall be eligible. Other forms of voting should also be considered, such as instant runoff voting or proportional representation. Campaign finance laws are unwarranted restrictions of free speech or association and should be repealed. Keeping in accordance with the tradition of all government being run in the Sunshine, we We support making all political contributions public records. We support restitution for victims of crimes or civil infractions at the expense of the perpetrator. The victim should have the right to pardon the perpetrator, provided the victim is not threatened or coerced. We support equal treatment and oppose sexual discrimination in any judicial proceeding adjudicating a parental right, privilege or obligation concerning his or her child. No commercial enterprises should be granted legal monopoly status, including the so-called natural monopolies of electricity, natural gas, water supplies, telephones, and cable television. The Florida Public Service Commission should be abolished and all rate regulation in these industries ended. The right to offer such services in the marketplace should not be curtailed. The condemnation of private property for public use should only be allowed when necessary for the protection of the rights of the citizens. Eminent Domain is only appropriate for immediate concerns of public safety. The right of people to extend or end their lives with dignity should not be infringed. We support the freedom to use living wills and durable medical powers of attorney. We recognize the right to political secession. Exercise of this right, like the exercise of all other rights, does not remove legal and moral obligations not to violate the rights of others. The Libertarian Party of Florida ratifies and hereby includes in this document the platform of the national Libertarian Party. Note: No change, renumbered if Motion 2017-ABM-P-02 passes. Our silence about any other particular government law, regulation, ordinance, directive, edict, control, restriction, regulatory agency, activity, or objections should not be construed to imply approval. Text: Motion by the Rules Committee renaming the Article, striking existing Sections 2 and 3, and replacing with a new Section 2. Section 1. 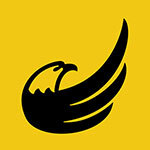 The name of this organization shall be the Libertarian Party of Florida, Inc., hereinafter referred to as the LPF. Section 2. The object and purpose of the LPF is to engage in political action in the State of Florida, to serve as an affiliate organization of the Libertarian Party in national politics, and to serve as a nucleus for designated county affiliate organizations and for LPF members in matters of statewide political action. A. Supporting candidates for national office, recruiting and supporting candidates for state and Congressional offices, and aiding local affiliates upon request. B. Promoting, chartering, and coordinating county affiliate parties within the State of Florida. C. Entering into political information activities, including the promoting and securing of party members. Section 2. The LPF adopts the Libertarian Party Statement of Principles and is organized to implement and give voice to it by: functioning as an affiliate of the Libertarian Party in national politics and engaging in political activity in the State of Florida as a libertarian political entity separate and distinct from all other political parties or movements; promoting Sustaining Membership in the Libertarian Party; moving public policy in a libertarian direction by building a political party that elects Libertarians to public office; chartering affiliate parties throughout the State of Florida and promoting their growth and activities; supporting Libertarian Party candidates for President and Vice-President of the United States, and recruiting and supporting LPF candidates for state and Congressional political office; and entering into public information activities, including securing LPF voters. Text: Motion by the Rules Committee to amend Constitution, Article II, Sections 1 and 5, striking some sections and adding language. Section 1. LPF membership is open to any LPF voter who whoever signs the pledge: “I hereby certify that I do not believe in or advocate the initiation of force as a means of achieving political or social goals,” and asks to be a member of the LPF. Section 2. No change in the Bylaws or Standing Rules may have the effect of imposing a head tax on the membership. Section 3. No change in the Bylaws or Standing Rules may have the effect of disenfranchising a member. Section 4. No change in the Bylaws or Standing Rules shall deny the autonomy of an individual member or an affiliate party, except as provided in the Constitution. Section 5. Certain rights and privileges of membership, including delegate status, committee appointments and observation of committee meetings, holding party office, exercise of voting rights in the conduct of any Libertarian Party of Florida business, and the right to bring business before the Annual Business Meeting, shall be available only to LPF members who are registered LPF voters in the state of Florida and shall not be available unavailable to members and officers of any other political party. registered in the state of Florida. Members and officers of other political parties registered in the state of Florida Persons ineligible for such rights and privileges may participate in discussion on items of business brought before the membership, subject to the discretion of the Chair or by a two-thirds (2/3s) majority vote of the body. Text: Motion by the Rules Committee to insert a new Article VII and renumbering. The rules contained in the current edition of Robert’s Rules of Order, Newly Revised shall govern the LPF in all cases to which they are applicable and in which they are not inconsistent with other rules adopted by the LPF. Section 1. This Constitution shall be adopted when approved by two-thirds of the delegates of the 1974 Convention. A. Amendments must be published among the Executive Committee, the County Affiliates and on the LPF’s official, public, and functioning website for notification of all members in good standing, thirty (30) days prior to the Annual Business Meeting and passed by two-thirds of the members present at that meeting. B. Upon establishment of affiliates in each county in Florida, a proposed Amendment can be accepted by a three-fourths vote of the Executive Committee and ratified by three-fourths of the county affiliates. C. If any term of this Constitution or any subordinate document is to any extent illegal, invalid, or incapable of being enforced, such term shall be excluded to the extent of such illegality, invalidity, or unenforceability; all other terms hereof shall remain in full force and effect; and, to the extent permitted and possible the illegal, invalid, or unenforceable term shall be deemed replaced by a term stated or implied by the adopted parliamentary authority that is legal, valid, and enforceable and that comes closest to expressing the intention of such illegal, invalid, or unenforceable term. D. The LPF ByLaws shall be subordinate to this Constitution. The LPF Standing Rules shall be subordinate to the LPF ByLaws. Any other rule or procedure shall be subordinate to the LPF Standing rules. In any conflict between these documents, the conflicting term from the subordinate document shall be deemed unenforceable. E. Immaterial changes may be made under the provisions of Article III, Section 4, B. of this Constitution. Text: Motion by the Rules Committee to amend By-Laws Article III, Sect 2, adding language to 2A, striking all of B, C, D, and E, and adding new B, C, D, and E, striking portions of F and replacing with new language, and striking all of G.
A. No offices shall be combined and all offices shall be filled. B. The Executive Committee shall fill vacancies of Regional Representatives, Committee Chairs, and Committee members by appointment of the LPF Chair with confirmation of the appointment as indicated by a majority of the votes cast by the Executive Committee. C. All nominations to fill vacancies shall be submitted to the LPF chair. D. The Executive Committee shall fill vacancies of elected positions of LPF Chair, LPF Vice Chair, LPF Secretary, LPF Treasurer, and Directors at Large as indicated by a majority of the votes cast by the Executive Committee via roll call vote. (1) Each nominee for a vacated position listed in this section shall be offered the floor for introductions for no more than (2) two minutes. (2) Any candidate may choose to yield half of the maximum allotted time to another candidate. (3) By proxy introductions of candidates shall be limited to (1) one minute. E. The LPF Executive Committee should be notified by a resigning member of the Executive Committee within seven (7) days of their resignation. If the member does not submit a resignation, their unexcused absence from three monthly Executive Committee meetings or six bi-weekly Executive Committee meetings shall be considered a resignation effective immediately. B. The officers shall be ranked, in order, as follows: the Chairperson, the Vice Chairperson, the Secretary, and the Treasurer. The highest ranked remaining officer shall preside over the LPF and its meetings. If all offices are vacant, each Director at large in order of their seat number shall preside. If all offices and Directors at large are vacant, the Regional Representatives shall elect a chairperson pro-tempore from their ranks to fill offices as described below. C. Every LPF Executive Committee office and seat shall be deemed vacant following the rules provided in Florida law for political party office vacancies. In addition to those rules, unexcused absence from three monthly Executive Committee meetings or six bi-weekly Executive Committee meetings shall be considered a vacancy. D. The presiding officer shall appoint a qualified and willing LPF member to fill any vacant office or seat. The appointee shall be vested immediately with the duties and powers of the office. The LPF shall notify the Florida Department of Elections of any change in the filing certificate, including a change of officers, within five (5) days to satisfy the requirements of Florida Law. E. If the Annual Business Meeting will occur within 60 days, the vested appointee will retain the office until that meeting. If the Annual Business Meeting will not occur within 60 days, the Executive Committee shall, at its next regularly scheduled meeting, elect a qualified LPF member to the office. The election shall be by voice vote in order of nomination. The vested appointee shall be the first nominee voted upon. F. Any member elected or appointed to serve on the Executive Committee or other LPF committee shall be a member of the Libertarian Party of Florida LPF, and shall, upon request, show proof of registration with the State of Florida as a Libertarian voter in the State of Florida to vote in the LPF. G. The Chair may appoint temporary officers and at-large directors to meet State determined time limits for notifying them of the changes of Executive Committee members. These temporarily filled positions shall be confirmed at the next Executive Committee Meeting. At the request of two members of the Executive Committee a properly noticed meeting shall be called to elect qualified members to replace the temporary appointments for the entire remaining term. Text: Motion by the Rules Committee to amend By-Laws Article III, Section 3 C, striking some portions and replacing with new language. C. The Secretary shall serve as recorder for all meetings of the party, conventions, and Executive Committee. The Secretary shall be the custodian of the minutes of all meetings, correspondence, committee reports, and the Constitution, Bylaws and Standing Rules, and shall make provision for legal service to the LPF. The Secretary of The Libertarian Party of Florida the LPF shall also serve as the Secretary a member of the Membership Committee, and shall be responsible for maintaining party membership records. Text: Motion by the Rules Committee to amend By-Laws, Article III, Section 3F (c), striking some language and adding new language. F. (a) The Executive Committee shall be responsible for creating a committee to maintain a current contact list of experts in fields related to election issues or interest in Libertarian candidates for use as data and advisory sources. (b) The Executive Committee shall establish a legislative review committee for the purpose of identifying Florida laws for change or repeal, and for making specific wording recommendations for use by Libertarian candidates and officers. (c) LPF established committees may use Facebook an online platform as a forum for its meetings, providing notice of the domain meeting’s website address on the LPF website and manner in which non-committee LPF members may enter credentials to view, but not participate, in committee discussions and business. 4. C. A quorum of the Executive Committee, shall be eight (8) members of the Committee. a majority of its seated members. Text: Motion by the Rules Committee to amend By-Laws, Article IV, Section 3 by striking portions of A. and inserting new language, and adding new language to B. A. Delegates shall be members as prescribed in ARTICLE II of the Constitution on the day of commencement of the annual business meeting and a delegate must be a verifiably registered Libertarian Party of Florida voter in the state of Florida prior to the start of the annual business meeting. Any person who is both an LPF registered voter and an LPF member at least sixty (60) days before the start of the Annual Business Meeting and who maintains that membership and registration through the Annual Business Meeting shall be eligible to be a delegate to that meeting. Delegate status may be denied or revoked by a 2/3 majority vote of the Executive Committee if a potential delegate has been found to have violated the non-aggression principle pledge or for other serious cause. B. Each delegate must sign the Libertarian Party of Florida Affirmation of Qualifications for Delegate form or other equivalent form approved by the LPF EC. A. The Executive Committee Chairperson shall appoint members to the Convention Committee with the approval of the Executive Committee members to the Convention Committee at least one hundred eighty (180) days before the date of the annual convention. The Executive Committee shall also notify the state party members at least ninety (90) days before the Annual Business Meeting. The Executive Committee shall assume all responsibility for the Annual Business Meeting, including but not limited to: the annual business of the Libertarian Party of Florida, hosting events, the rental of accommodations to hold the annual business meeting and all other events surrounding said meeting. The LPF will split in a 50/40/10 manner all net profits from annual business meeting with the following breakdown: 50% to the state party, 10% to the host county affiliate if in good standing, at the time of selection, and 40% to be split equally amongst the remaining county affiliated in good standing at the time of the conclusion of the convention. Otherwise the split shall be 50/50 with half to the state party and half split equally amongst all county affiliates in good standing at time of conclusion of the convention.